​We provide plumbing services to your home or business. These services may include repairing or replacing your plumbing fixtures, water heater, pump, softener, or drain and water pipes - inside and out. 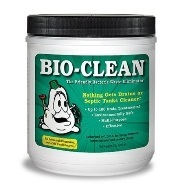 Have a clogged drain, sewer or... well, you know!?! Yep, we open those! We also install gas lines to appliances such as fireplaces, heaters and stoves. Want to remodel your bathroom? We do that too! Anything from a complete remodel to a vanity replacement... or maybe you just need a hand with a DIY project... we're here to help. And now for the fine print. We're licensed , insured, and we guarantee our work. State License - OH LIC # 29569, State Certified to test backflow preventers - If you have one, you know what it is - OH Cert # 2013. Office hours: Mon - Fri, 8am - Noon, Voice-mail available at all times. Emergency service: Okay, we're not 24/7 but we do the best we can! Use option 2 when calling.